I have to admit that I’m writing this post for fairly selfish reasons. I bought a very cute black lace pencil skirt a few months ago for a trip I was supposed to take. The trip got cancelled, as did the adorable outfit I had planned with that skirt. Now I have this skirt that I love, and I have no clue how to wear it. So, in an effort to not waste my money, I decided to look up some outfit ideas for inspiration. 1. Keep your lace mini as casual as possible with a white tee and an open chambray shirt. 2. A lace maxi is a lot of look. Keep it simple elsewhere with a plain top and a cute hat. 3. Go for a more professional vibe by wearing your lace skirt with a fitted blazer. 4. Tie your button down and pair it with your lace skirt for a very chic look. 5. Keep your lace pencil skirt from being too fancy by wearing it with a t-shirt and heels. 6. 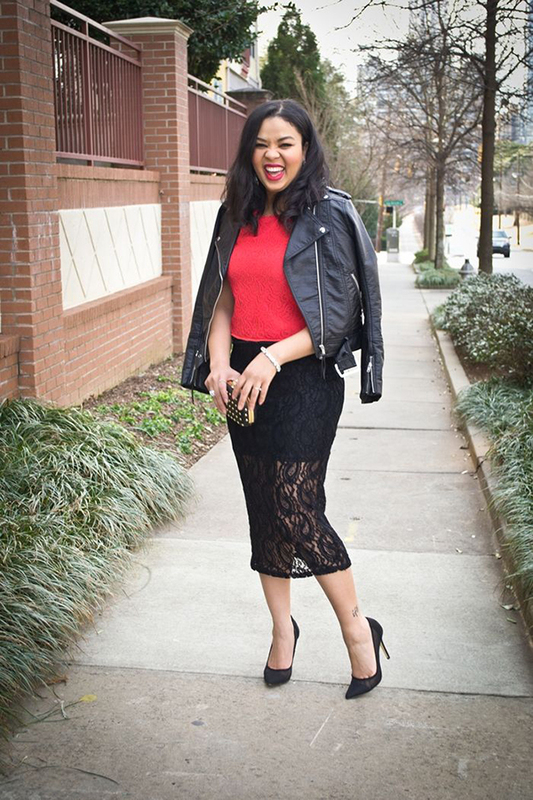 A leather jacket toughens up even the most feminine lace skirts. A pop of color, like the red tee, really makes this look work. 7. 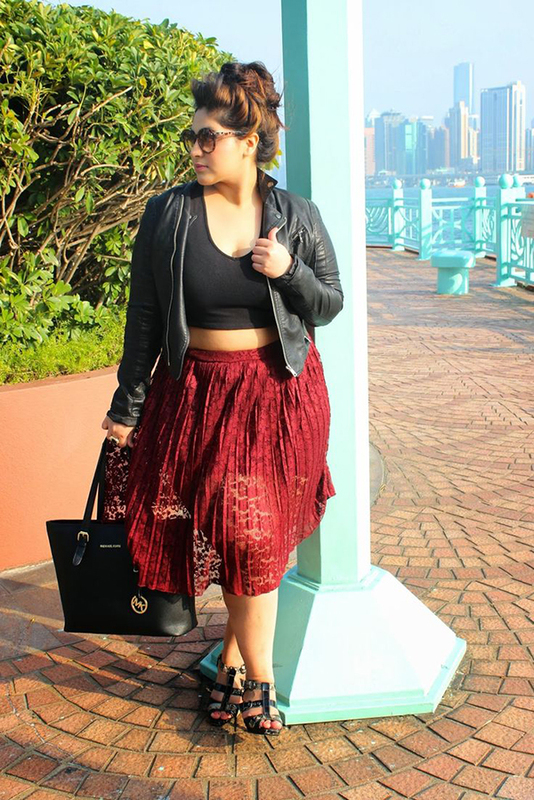 Wear your lace skater skirt with a crop top in the same color. 8. A simple t-shirt and belt keep the lace skirt more casual. This could be worn with wedges, like it is here, or flat sandals. 9. Feeling daring? 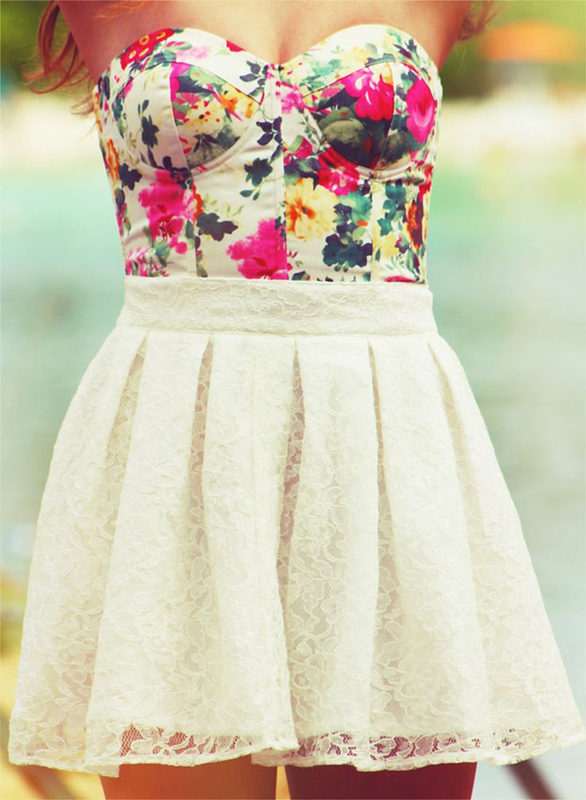 Pair your lace skater skirt with an eye-catching floral bustier. 10. Pair your lace pencil skirt with a graphic tee to dress it down a bit, then add booties and a leather jacket to toughen up the look. 11. Want to keep it simple? Wear your lace skirt with a plain tank and a statement necklace. 12. A loose sweater and slip-on sneakers make a lace skirt look so street-style cool. 13. 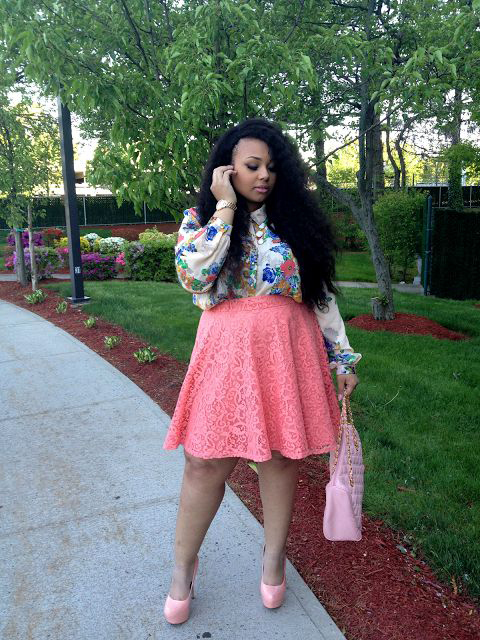 Pair a colorful lace skirt with an equally colorful printed blouse tucked in. 14. Belt a peplum top in the same color as your skirt over the skirt. This makes it look like a dress! 15. 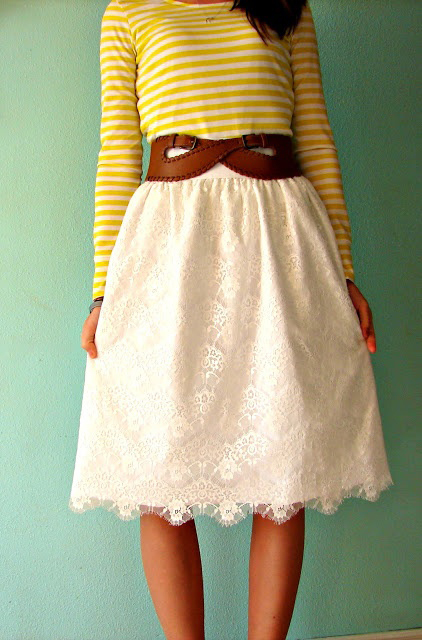 Lace skirts look surprisingly good with striped shirts! 16. Play around with different patterns for a fun look, like leopard heels and a striped top. Belting this utility jacket over the skirt keeps it casual. 17. Button up your chambray top and tuck it into your skirt for a really cool look. 18. 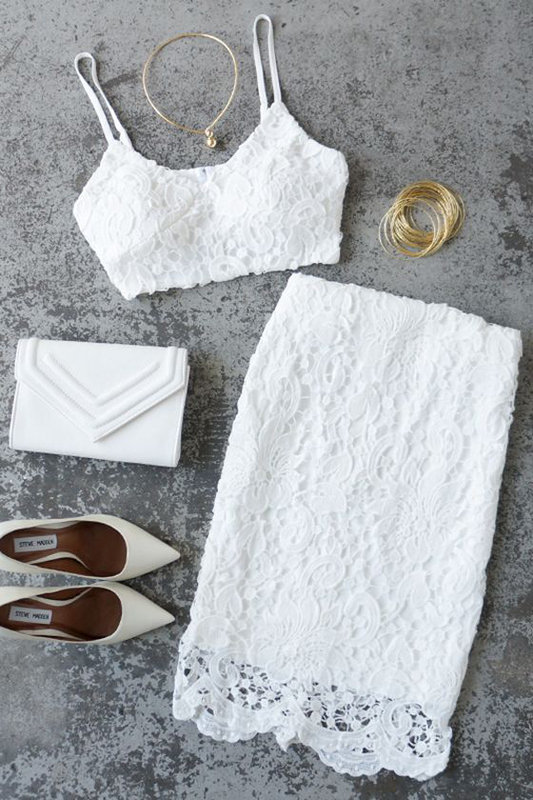 Pair your fitted lace skirt with a bralette or crop top of the same color lace. 19. Pastels look great with a lace skirt, but you can kick it up a notch by adding a leopard print accessory that stands out. 20. Wear a longer lace skirt with a simple crop top and sandals.